Buckets Rebel Heart is the new band formed by exBad Company and Humble Pie guitarist Dave "Bucket" Colwell, along with former 720 & New Torpedoes drummer, Paul "Taff" Edwards. 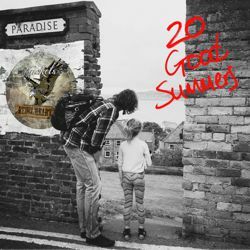 The line-up is completed by lead vocalist Jim Stapley and bass player Dave "Boycie" Boyce, previously of The Quireboys. Crying Steel were founded in Bologna in 1982 from the ashes of the Hard Rock group WURDALAK. The founding members were Alberto Simonini (guitar) and Angelo Franchini (bass), who were joined by Luke Bonzagni (vocals) and in 1983, and after various line-up changes, by Luca Ferri (drums) and Franco Grandchildren (guitar). After a couple of demos, the Italians released their debut EP “Crying Steel” in 1985. "The world's a stage, we plug & play"! 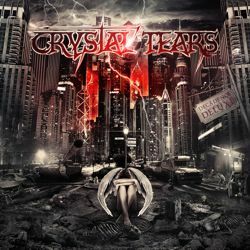 With a steady evolution from the band's first demos to its latest instalments, Crystal Tears have managed to leave their mark as one of the most qualitative heavy metal acts, proven to be a persistent, innovative & unstoppable force. Their previous testimony "Hellmade", with music videos involving Ron "Bumblefoot" Thal (ex-Guns N' Roses, Sons Of Apollo) & actors Lew Temple (of The Walking Dead fame) & Lou Taylor Pucci (Evil Dead) - initiated their first European tour (with Mystic Prophecy), followed by their own headline Greek tour & a few more extended shows with Firewind/ ex-Ozzy Osbourne's Gus G.
Having gained a formidable reputation for delivering the goods on stage & via their honest and sing-along anthems, Crystal Tears strike back with the massively anticipated new, 5th album "Decadence Deluxe". With producer R. D. Liapakis (Mystic Prophecy, Devil's Train, Suicidal Angels etc.) on the front again, the quintet delivers high quality heavy metal dedicating heart & soul, managing to sound constantly inspired & fresh. The record includes a stunning cover version of Judas Priest’s “Heart Of A Lion”. The artwork for “Decadence Deluxe” was designed by Caio Caldas (Dragonforce) and guest musicians include Ryan Roxie (Alice Cooper, Slash's Snakepit), Karis Charisma (Deadsquad), Julien Nutz Deyres (Gorod) and Fidel De Jesus (Xeno Devata Project).